I've finally found some time to chat to you all, so I'm putting my holiday post on hold to chat about London Fashion Week...I mean I could hardly call it a fashion blog without mentioning one of the most prestigious weeks in fashion of the year!! So we're talking SS'16 which always seems a long way off when we're just stepping into our Autumn/Winter clothes and preparing for the first frosts, but of the shows I saw this year, Spring/Summer has got a lot to offer! As readers of this blog will know, I tend to focus my fashion week highlights on a couple of shows rather than cramming the whole lot into one post so I'm going with my favourites again this year; Vivienne Westwood Red Label SS'16 and Burberry Womenswear SS'16. This year I also caught the Anya Hindmarch show, so I'll mention a bit about that too. So without further ado, sit back, grab a cuppa of your choice and prepare for a fashion overload!! All images take from www.viviennewestwood.com. It's always a dangerous game when I watch a Vivienne Westwood show; I love her accessories and may have ended up purchasing a new bag from the Africa ethical bags collection...oops! Every girl needs a unicorn bag...right? 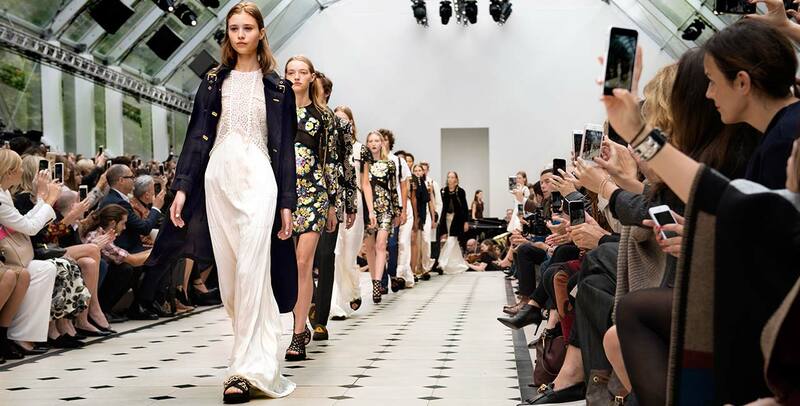 The Burberry show is always the highlight of my London Fashion Week calendar. I love the music, the colours, the cut; everything about Burberry is always such perfection. This year, the legend that is Alison Moyet performed with a live orchestra during the show and the Frow saw the likes of Sienna Miller, Cara Delevigne, Suki Waterhouse, Jordan Dunn, Kate Moss and Paloma Faith to name a very A-List few. The colours and tones were quite muted this season, with a lot of neutrals and monochromes taking centre stage. It almost felt like I was watching an Autumn/Winter collection; not that I'm complaining; I think Christopher Bailey is a genius and I love his taste in music too! 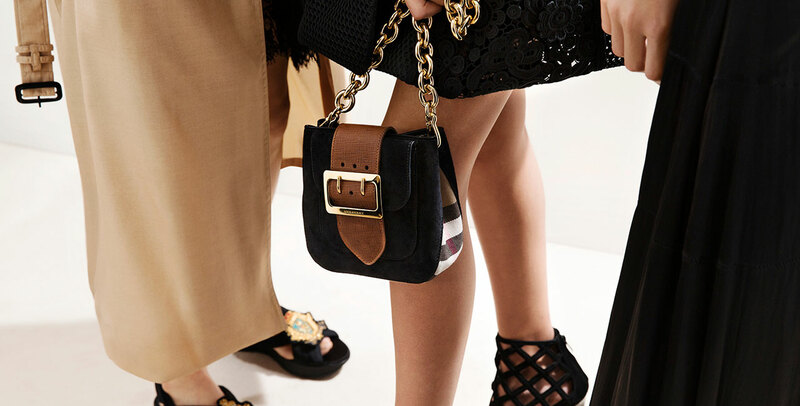 The it bag for the season will surely be the monogrammed backpack, not that it would be my personal choice, but there were plenty of other amazing looks to satisfy my appetite. 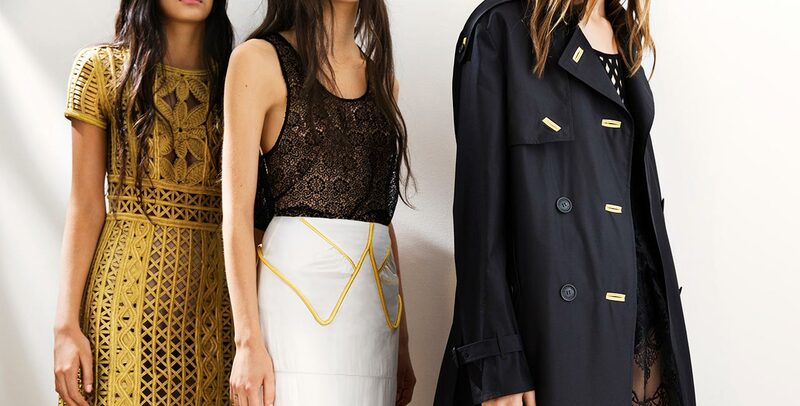 Welcome to the amazing world of Burberry! You can watch the full show here (the best way to view as the looks aren't all listed online). Now, has anyone got a spare £40,000 to loan me??!! Highlights for me were the golden yellow basket style lace dress, the lace trench and I loved the little belt bag. The print dresses (below) were also a personal favourite. It was logo crazy at Anya Hindmarch this year, with Nationwide, Mothercare and Every ready all getting the Anya treatment, to name a few. I love how daring Anya Hindmarsh collections are each season and the shows are always so aesthetically pleasing. This year, a mirrored pyramid stage multiplied the looks over and over, complete with a troupe of acrobats to close the show. Always fun, you can watch the full show here. I thought I'd wrap up this post with a nod to the brilliant people at My Little Box. They got me so excited for the arrival of LFW by posting out my 'My Little Fashion Box' in partnership with American Vintage, just in time for the start of the shows. I particularly loved the monochrome scarf that was inside, perfect colours for Autumn/Winter and the print really reminds me of a similar scarf that Mulberry do! I'll be wearing it in anticipation of Paris Fashion Week when of course it will be all eyes on Chanel, Vuitton and a little bit of Dior. Au revoir for now my pretties!! What have been your fashion week highlights?